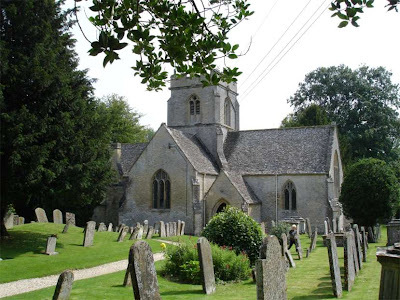 A few years ago we had a holiday in the Cotswolds and visited Burford in Oxfordshire. We had welcome cup of tea and cakes in The Copper Kettle on the High Street. This is the view looking down the High Street. The building dates back to around 1500. 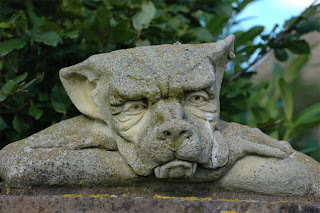 See more Saturday Snapshots on Alyce’s blog, At Home With Books. 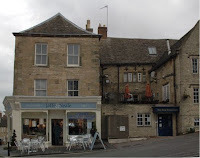 Whilst we were in the Cotswolds last week we drove through Chipping Norton and decided to stop for a coffee. There is a small parking area on Middle Row, just off the main road through the town and there was just one space available. When we got out of the car, we saw behind us some tables and chairs outside a bookshop and thought great that’™s just what we wanted ‘“ a bookshop and a cafÃ© too! This is JaffÃ© & Neale, a bright, welcoming bookshop with a good variety of books on offer. There wasn’™t much space left inside to sit and have a drink, but as in the car park there was just one table left. It was our day for sure! We had coffee and I was very tempted by the cakes, but resisted. It was just too much to expect me to resist buying a book and I had a wander round the shelves. They had some books that have been signed by the authors and I was really pleased to find a pile of books signed by Alan Bennett. I had seen on the BBC website a while ago that Alan Bennett had been reading his new book The Uncommon Reader on Radio 4, but I hadn’™t managed to listen. So I was delighted to find it here. ‘œ’Is one allowed to borrow a book? One doesn’™t have a ticket?’™ No problem,’™ said Mr Hutchings. I love the way Bennett describes how the Queen becomes a bookaholic (my word, not his) and wants to discuss her books and what she is reading. The French President had mentioned Proust to her, when she had asked him what he thought about Jean Genet, which led to her taking Proust’™s novel, all thirteen volumes of it, and George Painter’™s biography of Proust, as her holiday reading at Balmoral. What an image! This book is only 124 pages, but what a lot is packed into those pages, not a word is wasted. It’™s amusing and thought provoking as well. I wondered where it was leading and how Bennett was going to end the story, but all I’™ll say is that the Queen realises that books have enriched her life ‘œin a way that one could never have expected. ‘œ Her next venture follows inevitably. Do read this book. I wonder if the Queen has. We’re in the Cotswolds again for the third time this year – we like it. 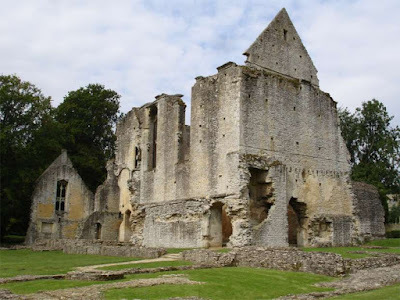 Today we walked from Minster Lovell, a beautiful little village through the fields alongside the River Windrush to the ruins of Minster Lovell Hall. We did get our feet wet as the path was still flooded in parts. 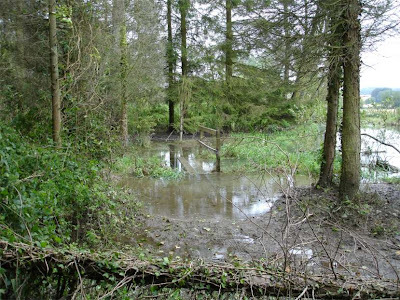 After this section the path left the river and we climbed up through woodland to fields, eventually reaching Crawley, where we stopped for a drink at the Lamb Inn, still with wet feet and muddy boots! Back along the footpaths to Minster Lovell church. 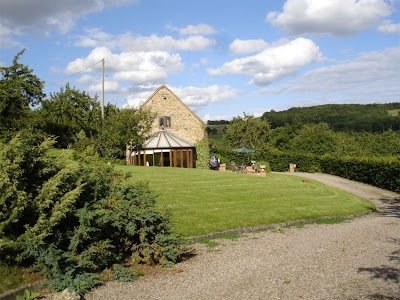 We arrived at Twilles Barn in bright sunshine and it looked beautiful, in an idyllic setting, next to apple orchards, overlooking the Herefordshire countryside. The word ‘˜hope’™ in Woodhope, Fownhope and Sollers Hope, all villages in the locality, means a small, enclosed blind valley. 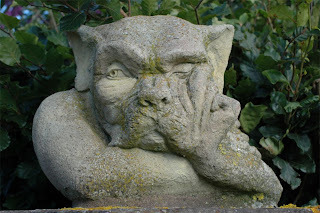 The Barn just outside the village of Woolhope is surrounded by hills in just such a valley, lying at the end of a gravelled driveway, beyond a gate flanked by pillars topped with two stone carved creatures. The garden is large, with lawns sloping down to the building, a timber framed brick barn conversion, with a modern conservatory on the side and a crazy paving patio bounded by a small brick wall. The patio was the perfect place to sit and read, sipping a glass of wine. The apple orchards to the side and front are also the home of numerous sheep, all noisily calling to each other as they forage among the grass, constantly trotting or ambling around the apple trees. Birds flock to the bird feeder in the centre of the side lawn, with the greater spotted woodpecker having precedence over the other birds. One morning I walked into the conservatory and was surprised by the sight of a female pheasant preening on the patio wall with the male strutting proudly around the tree behind her. The weather was perfect – all week it was hot and sunny, just like summers used to be. On Monday we went to Hereford, on the banks of the River Wye. It has been a cathedral city since about 700AD. We had lunch in the Cloister Cafe, in the Cathedral. The Cathedral was built over the centuries, and contains examples of architecture dating from Norman times. There are massive Norman pillars dividing the 12th century nave from the 14th century north and south aisles. The stone and marble tomb of Thomas Cantilupe, who was the Bishop of Hereford and Chancellor of England, canonised in 1320 is one of the best preserved medieval shrines in England, according to the description in the Cathedral guide. The most interesting part of the Cathedral for me is the medieval Mappa Mundi and the Cathedral’™s Chained Library. The Souvenir Guide states “the map can be dated to the late 1280s, certainly after 1283 when work began on the building of the castle of Caernarfon, which appears on the map.” I am fascinated by the thought that this map has survived all these centuries since then. 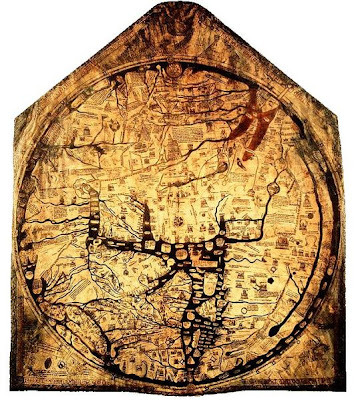 It is drawn on a single sheet of parchment, 5ft 2in high and 4ft 4in wide, depicting the world within a large circle, with Jerusalem at its centre, illustrated outside the circlewith scenes of Christ sat in judgement and pictures of Biblical events. Later in the afternoon we went for short walk from the Barn down a little lane, with grass growing in the middle, to Alford’™s Mill. 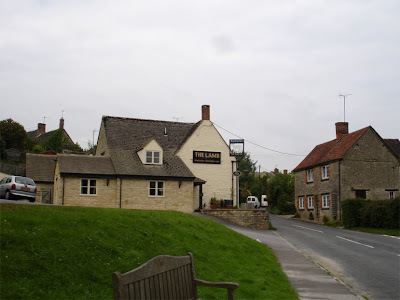 In the evening we went to the Butchers Arms just outside the village and had a very good meal. The pub dates from the 14th century and was originally a butcher’™s shop and beer house, until 1881, when it was licensed as a public house. 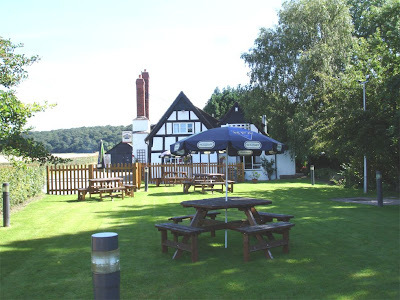 It is a beautiful black and white timber framed building, with more modern extensions. It has low beamed ceilings and a small welcoming bar.